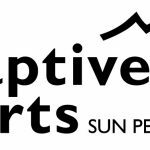 Adaptive Sports at Sun Peaks is a non-profit organisation whose focus is to provide opportunities for people with a wide range of disabilities to participate in adaptive snow sports at Sun Peaks Resort. We’re very excited about the upcoming ski & snowboard season at Sun Peaks Resort and are looking for Volunteers wishing to become Adaptive Instructors with the Program. Being a strong skier or rider is required and full certification training is given at a small cost. Most lessons are on weekends and new Instructors are always placed with an experienced ASSP team member. Commitment to giving one weekend day for the season is asked.